Southern Africa, being a hotspot for shark and ray biodiversity, hosted the Sharks International 2014 conference in Durban, KwaZulu-Natal, South Africa, in June 2014. The conference precipitated a special issue of the African Journal of Marine Science titled Advances in Shark Research. The conference aimed to provide a medium for the world’s leading chondrichthyan (cartilaginous fish) researchers, as well as students and early career scientists, to meet, exchange ideas, and present their most recent work and was the second in what is anticipated to be a series of such conferences to be held every four years, the first having taken place in Cairns, Australia, in 2010 and the next due to take place in Joao Passoa, Brazil in 2018. The special issue contains 13 research articles as well as a contribution from the guest editors that provides an overview of research trends as observed through international conferences focused on chondrichthyans. The research articles span a number of subject areas, the best-represented being (a) the use of modern technology to elucidate movement, presence and habitat utilisation, and (b) fisheries, including those of Indonesia, collectively the world’s largest. Other topics that receive attention are taxonomy, morphometry, life history, trophic ecology, and conservation biology. 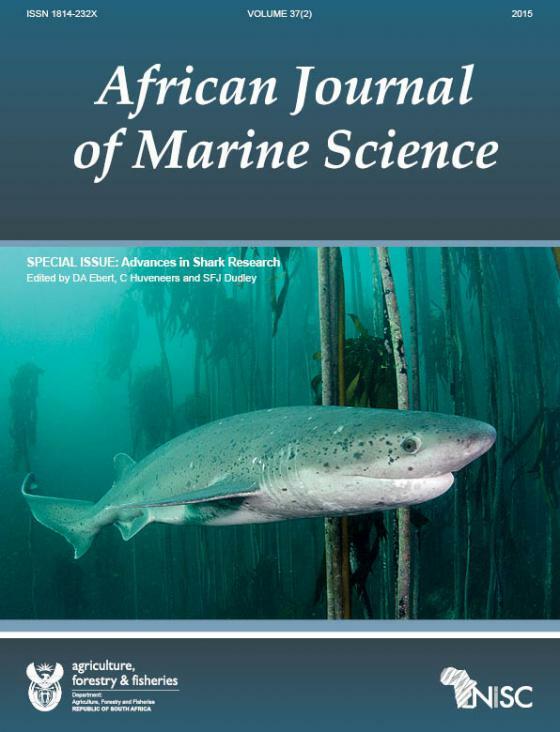 Read more about the African Journal of Marine Science here.